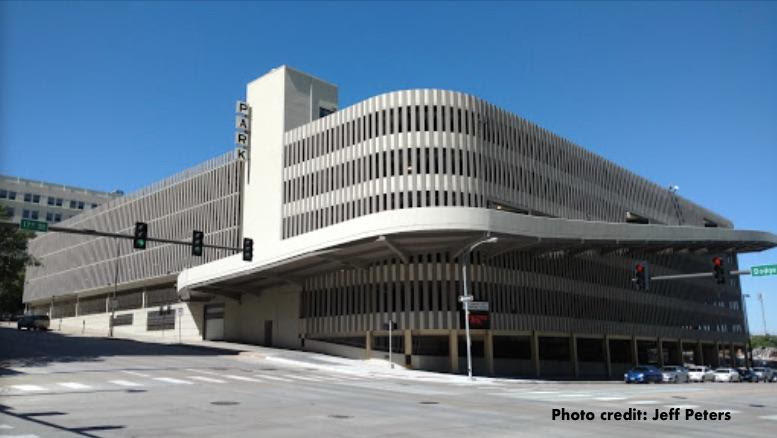 The Omaha Press Club is located in the original First National Bank Building at 1620 Dodge St. in the heart of downtown Omaha. It is located adjacent to the DoubleTree Hotel (formerly known as the Red Lion Inn and originally the Hilton for those of you who have not been here in awhile). For daytime parking, enter from the west entrance and park on the roof (Level 7). After 5 p.m. and on weekends, you may park on any level.